How do I purchase Penny T Shirts? Do you have a 2015 calendar? I thought I saw another book in the series. 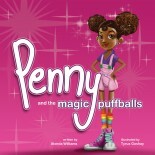 Are there any more Penny books? Can you buy just the tshirts alone?